Teachers at a primary school in Lincolnshire are being offered a “duvet day” by the headteacher in an effort to hire and retain staff. 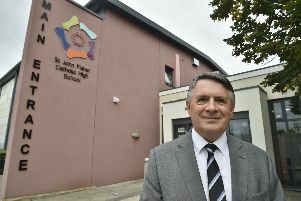 Bill Lord, the headteacher at Long Sutton Primary School near Spalding, said he wanted to look after his staff and keep “the best teachers in front of our fantastic children”. The “duvet day” gives all full-time staff one extra day of holiday a year. Teachers, cleaners and teaching assistants can break up the extra day into smaller chunks if they do not want to take the day off in full. One staff member said it allowed her to attend the sports day and Christmas play at each of her two daughters’ schools. Mr Lord has earmarked £3,500 from the school’s annual budget of £1.3 million to pay for the scheme. Don’t teachers get enough holiday? But the initiative has been criticised by some, who say teachers already have enough holiday. Mr Lord said that was an “easy argument” to make, but that his teachers were still struggling. “If I look at the staff I’ve got at the moment, buying big bags in order to carry all their marking home at 5 o’clock at night, I don’t think anyone can accuse staff of slacking,” he told BBC Look North. He added he hoped the incentive would attract more young teachers, many of whom prefer to train and teach in big cities. “Recruitment is incredibly tough. We’re working in an area where it’s not uncommon to receive zero applications for a post. So, yes, we always include [the “duvet day”] in our job adverts,” he told the Times Educational Supplement. Kevin Courtney, General Secretary of the National Union of Teachers, said it was no surprise headteachers were offering additional benefits amid a current teacher recruitment crisis. “The overwork is eating up time for preparing engaging lessons and keeps teachers working long into the evenings and at weekends,” he said. The incentive comes amid reports that teachers are choosing to work part-time to manage their marking and planning for lessons on their days off. Staff have to give notice before using the day. They cannot take off the first or last day of term.